Studying for the Advanced Developer Certification Exam (DEV 501)! I’ll definitely learn a lot of general Apex knowledge from this experience – and I’ll make sure to pass it on to you! I definitely will not provide anyone with questions or answers – even through email! Plus, what’s the fun in achieving anything significant if you know deep down that you earn it?! 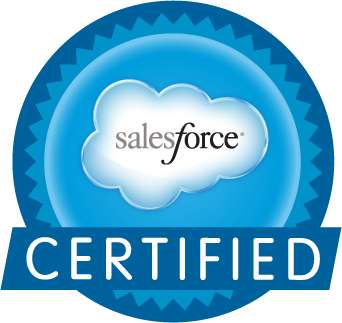 If you don’t yet have any Salesforce certifications, I highly recommend beginning this process! I’ve interviewed many Salesforce admins and developers and certifications are one of the most important things you can have on your resume! Don’t forget – I’ll have entire chapters dedicated to preparing for certifications and getting a job as a Salesforce developer! I currently have four certifications so you know my advice will work! You’re a Rock Star!! I know you’ll do well. Good Luck! I am looking into getting my Advanced Admin soon as well! Advanced admin was my favorite cert! If you haven’t already checked it out, go to Quizlet.com and search for Advanced Admin certification flashcards, if you can do those, you can pass the test! Good Luck and I know you’ll do your best!!! Awesome! I have been sort of studying for it as well. My goal is to have it(or at least to have passed the written test) within one year. Any study resources you can pass along would be great! My first recommendation is to go on Quizlet.com and check out anything on DEV 501! It will really show you where you need to study – for me, it’s inbound email services!